The issuance of Letter 226J for IRS information filings submitted for the 2015 tax year has caught many organizations off guard. More than 30,000 notices have been issued to date representing $4.4 billion in penalty assessments. During late 2017, starting with the 2015 reporting year, the IRS began issuing Letter 226J, which contained 4980H penalty assessments to applicable large employers (ALEs) who the tax agency determined had not complied with the Affordable Care Act. Employers were considered to be ALEs for 2015 if they had 50 or more full-time employees and full-time equivalent employees. As ALEs, these employers were required under the ACA to offer minimum essential coverage to at least 70% of their full-time workforce (and their dependents) that met minimum value and was affordable for their employees during the 2015 reporting year. The percentage of full-time employees (and their dependents) that must receive offers of minimum essential coverage increases to 95% in subsequent years. On Line 22, section C on the 1094-C, there was a box to be marked to indicate Section 4980H Transition Relief. For 2015, there were two reasons that could allow employers to check this box. ALEs with 50-99 full-time and full-time equivalent employee were not subject to any 4980H penalties for any calendar month of 2015. ALEs with 100 or more full-time and full-time equivalent employees could take advantage of an increased number of the allocated reduction of full-time employees of 80. After checking the box that your organization qualified for 4980H Transition Relief, employers needed to indicate which type of transition relief for which they qualified. This had to be indicated in Part III, lines 23-35 of the 1094-C. Code “A” had to be entered if you qualified for 50-99 transition relief and code “B” if your organization had 100 or more full-time and full-time equivalent employees for the applicable months. If employers did not do this correctly, they received a penalty assessment. This error was probably the most significant because it directly related to the penalty amount proposed in Letter 226J. Understanding the ACA is no easy undertaking. The most critical component of doing so is being able to correctly identify your full-time workforce. Penalties are based on the stated full-time counts for each month of the reporting year provided on Form 1094-C. If these numbers were stated incorrectly, the proposed penalty amount could be significant. Similar to your full-time counts, the codes on the 1095-C schedule ultimately determined if and for what month(s) your organization may be subject to 4980H penalties. Line 14 identifies what, if any, kind of offer of coverage was being made to employees and which employees received the offer. Line 15 identified the lowest cost contribution for self-only coverage IF the plan did not meet the Federal Poverty Level safe harbor. Line 16 indicated why a penalty could not be assessed for a particular month because a safe harbor applied. If you identified the wrong code combinations, you could have ended up with a significant penalty assessment. If your organization offered minimum essential coverage for all 12 months, employers should have checked the “All 12 Months” box on the 1094-C transmittal. This was critical. Failing to do so immediately indicated to the IRS that for particular months you did not offer coverage that met the requirements of the ACA. Again, this resulted in significant penalty assessments. 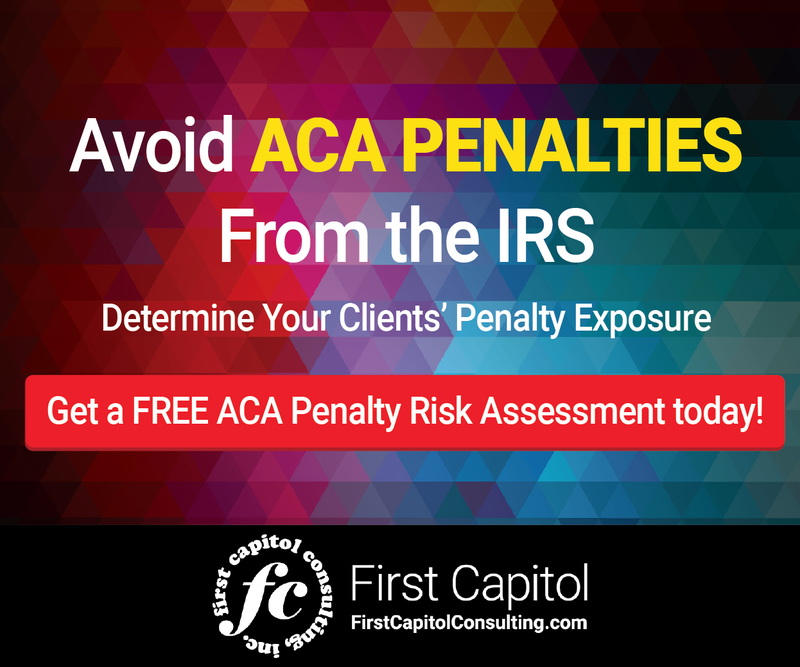 It’s safe to say that filling out your ACA information filings annually is a crucial process that can impact whether to what extent you receive significant penalty assessments from the IRS. In the event one or more of your full-time employees go to a government health exchange and receive a premium tax credit – and your organizations fails to populate using the correct codes, indicate the right markers, and enter the right company information – you could be looking at a very big penalty assessment. The challenge is that the mistakes that may have contributed to the size of penalty assessments for failing to comply with the ACA in 2015 will be different for 2016 and 2017 because filing requirements will be somewhat different. For example, ALEs will need to indicate that they offered to 95% of their full-time workforce (and their dependents), not 70%, in filings made after 2015. Also, there is no longer 4980H transition relief for ALEs with 50-99 full-time and full-time equivalent employees. Stayed tuned for more information on the rules and guidelines for filings following 2015. If 2015 tells employers anything at all about the ACA compliance pitfalls that may increase penalty assessments in subsequent years, it is to make sure employers learn from past mistakes. If you’re unsure of the quality of your previous ACA information returns, consider contacting a third-party ACA expert to help you undertake a spot audit of your past ACA information returns. Many times these will be performed at no cost. 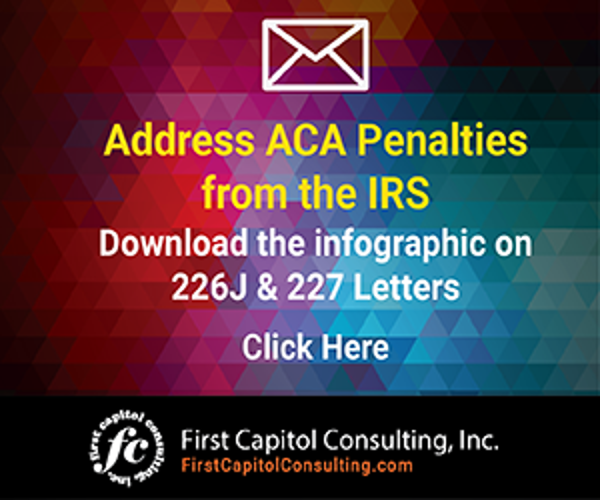 Take the initiative to identify potential issues in your ACA information returns for 2015-2017 before your organization receives a Letter 226J notice or is made the subject of a further IRS audit. It may head off a potential stand off with the IRS over significant ACA penalty assessments. These errors impact your ACA penalty assessment from the IRS. Correcting them could help your organization avoid receiving an IRS Letter 226J in the future.